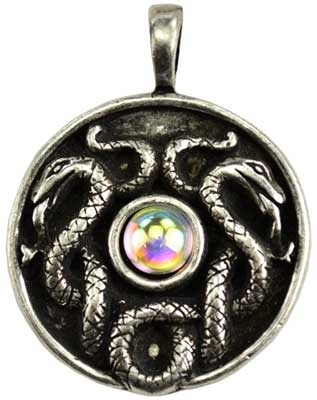 Inspired and created around the Celtic word for snake, Nathair, this amulet is a token intended to bring wisdom and guile into your life. Pewter disc approx. 3cm, with Greek leather card.